Goodbye Marlboro Man. My being with you wasn’t my best experience in life and I hope not to meet you again. As much as I want to keep it to myself and prevent myself from bragging, I could no longer help but make it known that I have stopped – as in totally ceased – from SMOKING. Yeah, for exactly 3 weeks now my pair of lungs has been free from the dangers of tobacco. Exactly 3 weeks now I have not lighted a single cigarette. And luckily, exactly 3 weeks now I have not craved for even a single puff. Don’t get me wrong but I am not a chain smoker. Though I have been smoking for the past 20 years whose only apparent reason for lighting cigarettes is because of my high-flying zaniness, I actually consider myself a “sosyal” (social) smoker. The kicking-off of my smoking habit was actually not planned. It was not a new year’s resolution for I believe New Year promises are actually made to be broken. It was a simple unexpected circumstance. Thanks to my younger sister Joy (I call her Bautina) for gifting me a special gadget for Christmas, i.e., an electronic vaporizer otherwise known as e-cigarette. 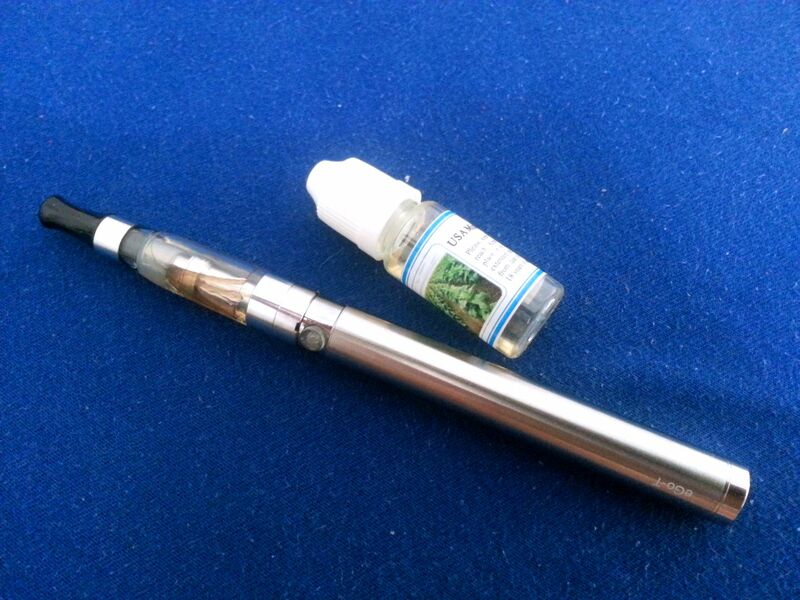 I started with a tiny container of e-juice with high nicotine content. Now I’m on my second vial that has medium content of nicotine (6 mg). Upon finishing this, my third vial is ready to vaporize with zero nicotine content. All provided for free by my sweet sister Bautina. Surprisingly, I have yet to experience the symptoms of withdrawal and have yet to feel what the terrifying cold turkey would be like. I am glad that I just simply feel better. I am free from the trappings that come with it — no more coughing, no more gasping for air, no more choking-stench of breath and fingers. And more importantly, I will no longer have to cringe at the thought of my being impolite for being the lone smoker in a group of non-smokers. To those who happen to bumped upon this article, congratulate me! I can proudly say that this silent personal holocaust is over. Nakaw!!! Pano na yan?! Lalong mas magiging malinamnam na ako nito ngayon? !